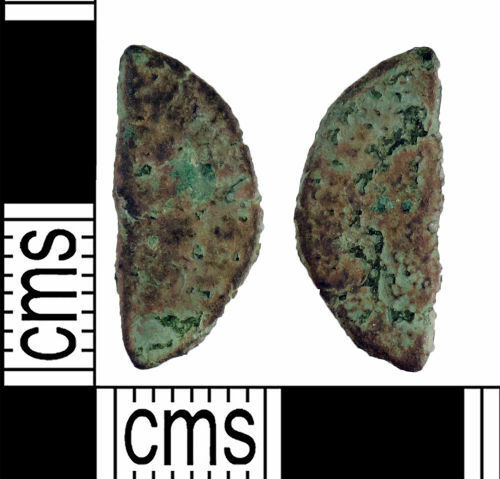 A copper alloy cut half coin; possibly a radiate or nummus of an uncertain emperor dating to the period AD 260 - 402. Uncertain reverse type. Mint uncertain.